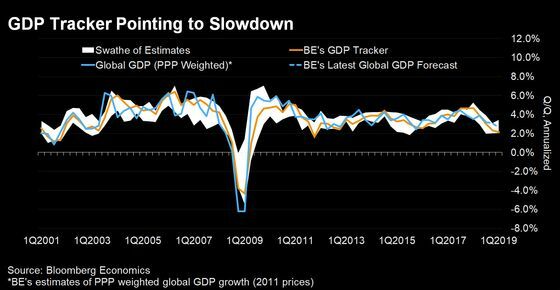 (Bloomberg) -- The world economy is poised to exit from a period of panicked uncertainty. The next period of panicked uncertainty is probably not too far away. To Bloomberg Economics, the short term risks to the outlook look manageable. With structural strains not going away, and little policy space to offset a downturn, optimism should be tempered with caution.